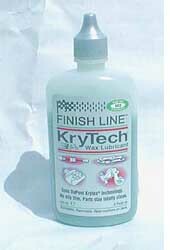 Twenty years ago, when I was getting seriously into cycling, I was initiated into the mysteries of paraffin wax. I was shown the warm saucepan, the dripping chain dangling above it, the thin offwhite coat of clotting wax. I was hooked. The whole procedure was mysterious, nay, masonic. It was exactly the kind of thing I wanted in on. I never did it for myself, of course. First, you need pretty understanding housemates if you're going to sling grimy bikeparts around the stove on a Sunday afternoon. Second, it doesn't actually work too well. Let me qualify that. What I'm trying to say is that paraffin wax doesn't work too well with derailleurs. The wax is delicate: it will likely be knocked off as the chain whips through the mech. I got into the habit of using Sturmey oil instead. It's cheap and easy to find and, if you like hubgears, you have only one lube to worry about. A few months ago, I picked up my newly refurbished fix. The guy in the shop knew my preferences, but he'd used White Lightning on the chain. He handed the bike over with a 'try this, you'll like it' grin. He was right. I did. The chain was smooth and quiet, and I rode all over London admiring the way it stayed clean of road muck. Then I started riding offroad. One trip on the bridleway over Cheesefoot Head was enough to change my mind. White Lightning is great stuff, but I'm here to tell you that 100 yds of knee-high Italian rye grass, slightly moist, will strip it off a chain about as well as a proprietary degreasant. I squeaked and rattled my way home, dug out the Sturmey bottle, and applied a double coat, cursing. Sturmey oil is pretty free-running, and it needs a lot of reapplication if you're going to ride in the wet, or through grass. After a couple of weeks, my mother commented on the line of black gunge which now marked the right leg of my trousers. Shortly after that, I went to the shop and asked casually about White Lightning alternatives. I got sold a bottle of Krytech. Krytech attempts to do the old paraffin wax trick, but without the hot saucepan. What you get for your £7.00 (or $7--Finish Line use that funny exchange rate that only applies to bike bits) is a 120cc squeeze bottle of greenish fluid which you have to shake very thoroughly. Squirt it out onto the chain, and it hardens into a waxy coating. Paraffin wax is dense stuff: it's what they make candles out of, after all. Krytech is a lot lighter. Congealed, it approaches the consistency of furniture polish. The gooeyness suggests that it penetrates the chain pretty well. I liked the look of a full coat, and it seemed to behave itself OK on local road trips. This autumn, I will be leading offroad cycle tours round the hidden bridleways. This will take some preparation: I'm scouting routes now. The projected 20 miler (Cheriton, Tichborne, Avington and Easton, then back over Cheesefoot Head) is a pretty good run. I read up on Krytech and decided to give it the best possible start: a clean chain and an overnight set. Well, actually, I just gave the chain a thorough wipe over to get the worst of the grime out. (Face it, you do the same thing most of the time.) Then I coated each rivet carefully. The Krytech bottle is hard to control: I ended up with a lot of waxy spillage on the outer surface of the chainring. It looked ugly but I figured it would provide a pretty good measure of the stuff's tenacity. I locked the bike in the shed and left it till morning. The first five or six miles were on road and flint track. The bike ran silently and well: no worries. Towards Cheriton, however, I started going through scrub. Deja vu, deja vu. Krytech may be great stuff, but 100 yards of knee-high nettles and dock, bone dry, will strip it off a chain about as well as a proprietary degreasant. When I paused to take stock, no wax was visible on the chain, and those patches I mentioned on the chainwheel were half scrubbed off. I would have squeaked and rattled my way home but by now it was as bad to go back as go on, so I gritted my teeth and rode. God knows what the exercise did to my chain. There were some nasty hills, and a lot of dust. Fortunately I was planning to upgrade soon anyway. If I'd bought my expensive chain already, Finish Line would be getting a very snotty letter. The obvious objection--and the getout for the manufacturers--is that I didn't clean the chain properly before applying. True, but what about the wax on the chainring? That was about the cleanest, dryest surface you could ask for, and by the end of the trip its Krytech coating was long gone. Verdict: Don't use it. I've given the stuff two stars for quality because it worked rather well on the road. I don't think an offroader should even contemplate buying it. Note: This review is of green Krytech. The earlier white version was worse, apparently. Will Meister now rides mostly fixed. He is planning a special bike for the unique trails of the South Downs. Don't take our word for it! Read more reviews at mtbr.com.